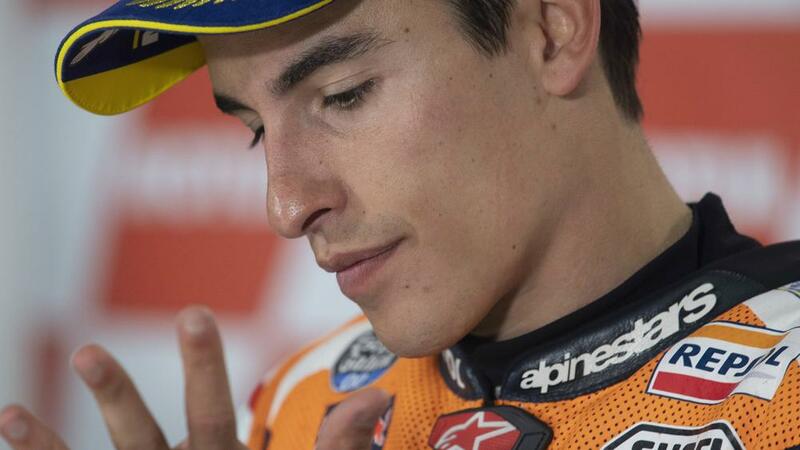 Marquez has been a dominant force at the Circuit of the Americas, winning in each of the last six seasons at the venue in Austin, Texas. The reigning MotoGP world champion claimed pole - his seventh in succession - ahead of Movistar Yamaha's Valentino Rossi, but the Spaniard nevertheless feels vulnerable. "Everything is closer than last year, when I had more margin," he told DAZN. "We'll see tomorrow in the warm up because I still have a problem that we need to solve, I can't tell you what it is, don't ask me. Although Monster Energy Yamaha's Maverick Vinales could only manage to qualify sixth, Marquez is wary of his countryman's potential in the race itself. "We need to cause troubles for the Yamahas, they are working so well here," he said. "Vinales struggled a little bit more, but when he has more laps he improved a lot. "It's related with electronics, and it's normal when you do an evolution on your engine, there appear other problems that you didn't have before. We need to analyze it to solve it for tomorrow." Ducati's Andrea Dovizioso won the opening race of the season in Qatar, before Marquez triumphed in Argentina last time out.